A still image of SCP-252 mid-metamorphosis from containment camera Gamma-7. Special Containment Procedures: SCP-252 is to be contained in a 150 m3 aquarium, reinforced with high tensile steel plating. Guards are to be specially trained in water-borne combat techniques and armed with model-B74H harpoon rifles with high-capacity electrical discharge shafts. The tank is fitted with 15 remotely-activated depth charges, which are to be detonated simultaneously if a containment breach is imminent A breeding pair is maintained under the direction of marine biologist Dr. ███████. Personnel should not approach the containment tank unless they have been previously prepared for the anomalous effects of the animals. Additional specimens of SCP-252 may exist in the wild. Due to their destructive capabilities, capture is deemed a high priority. Given the difficulties inherent in the size of specimens, termination is authorized if a breach of secrecy is imminent. Current specimens are considered sufficient and further acquisitions are not a priority. Containment of information regarding encounters will consist of Standard Cover Story 53 "Drunken Sailor" and administration of amnestics as necessary. Description: SCP-252 is a sub-species of Dosidicus gigas. Mature specimens are noticeably smaller than average, reaching no more than 1 m in length and weighing a maximum of 40 kg. Dissection shows the absence of an ink sac and an increased density of chromatophores (approx. 20 times the normal adult average). Behavior is identical in most ways to mundane specimens, except when hunting or threatened. When a member of SCP-252 detects prey, they exhibit aggressive behavior and move towards the target at maximum speed while rapidly cycling their chromatophores. This color shifting has a hypnotic effect on prey animals that make visual contact, causing them to cease all defensive behavior and attempts to flee until grappled. When threatened by a predator or otherwise agitated, SCP-252 rapidly metamorphs into an unidentified aquatic life form of extreme size with an indeterminate physiology and extremely destructive demeanor. Physical attributes in this state are in a constant state of change. Size fluctuates between 50 and 75 meters in length with no fewer than 50 and occasionally as many as 200 appendages of various natures. Appendages shift constantly between suckered tentacles averaging 5 m in length, insectoid limbs terminating in barbed pincers, and humanoid arms and legs ending in sharpened talons. Details and positions of appendages on the body also vary randomly, with the only constant being a cluster of tentacles around the head obscuring the mouth area. It is not currently known how this rapid growth is achieved. Due to the potential for a containment breach no research on the matter is currently authorized. All animal life excluding other SCP-252 and mundane squid species will attempt to escape the vicinity by the most direct route possible. This fear response can cause the targets to harm themselves as they flee into hazardous conditions or ram repeatedly into container walls. Roughly 95% of subjects encountering an enraged SCP-252 develop a phobia of cephalopods. It is not known if this is an additional anomalous effect or a normal behavioral reaction to traumatic experiences. 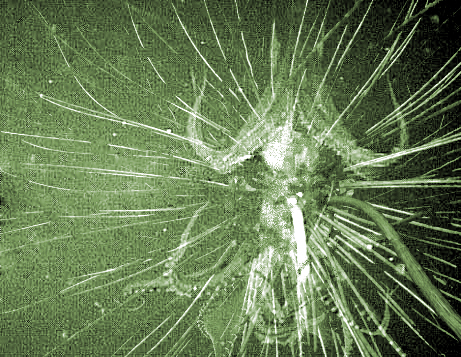 Upon review of security footage during containment, Dr. ███████ has determined that SCP-252s "metamorphosis" is in fact an advanced hallucination induced by the shifting pattern of chromatophores. These hallucinations cause the victim to see SCP-252 as a titanic sea creature with an excessively large number of tentacles. Specific details vary greatly from subject to subject, but the hallucinatory creature consistently presents as a greatly exaggerated cephalopod with tentacles clustered around the mouth area, additional appendages with talons or pincers, and the general impression that all features are fluid and randomly shifting. Subjects removed from visual contact with SCP-252 will remain convinced that their hallucinations were a real "sea monster" and will attempt to rationalize any logical contradictions inherent in their delusion, such as a 100 m monster swimming in a 10 m enclosed tank. This rationalization and the lingering phobia is thought to be a form of post-hypnotic suggestion. Subjects viewing video of agitated SCP-252 who have never been exposed directly experience a much less severe fear reaction and are able to perceive the squid despite the hallucinations. Subjects describe the illusory monster as "fake-looking" and "nonsensical" but still find it moderately frightening. After second-hand exposure, subjects develop a partial immunity to the full effects of direct exposure. Repeated direct contact after "inoculation" by video further lessens the effects. Acclimatized subjects can develop a complete immunity to the fear effect and experience only the vaguest awareness of the hallucinations. Addendum: SCP-252 came to Foundation attention after numerous reports of "sea monster" sightings by commercial fishermen off the coast of █████. Agent ██████ secured a specimen at greater than usual personal danger. Commendation for performance above and beyond the call of duty recommended. Agent ██████ allowed himself to be exposed to SCP-252's effects during first contact. Initial containment procedures were based on his reports of the specimen's size and physical capabilities, resulting in an excessive expenditure of resources. Disciplinary action recommended, pending oversight review.